It is important to mention that a large number of Colvics have been built by amateurs however, this particular example has been professionally built by the shipwright Thames Marine who fitted out this example in 1985, she has been with this owner since 1995. 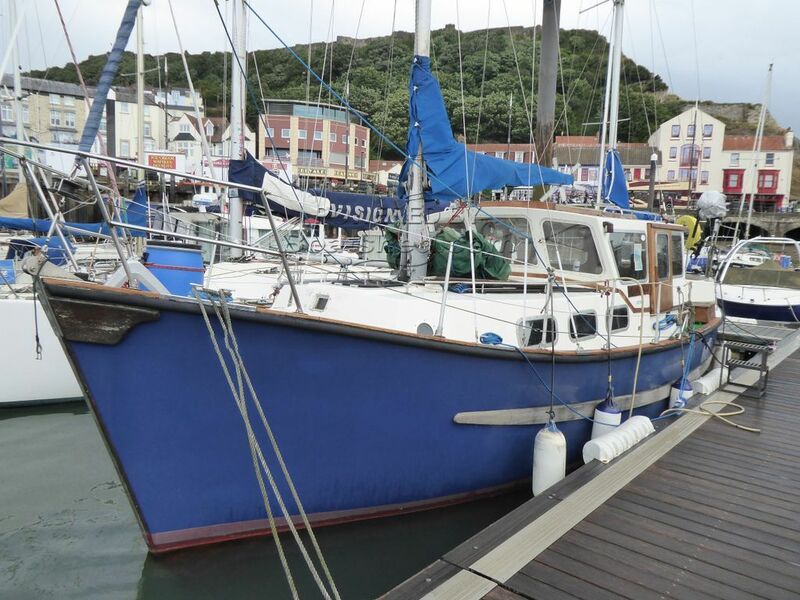 The price has recently been reduced as the owner is keen to see her move on for the 2019 season. Colvic-built boats enjoy a splendid reputation for their design and solid hull construction. This is one of the better examples of this vessel, some cosmetic work is required which can completed by an enthusiastic amateur this is reflected in the price. This Colvic Watson 32 has been personally photographed and viewed by Peter Lammiman of Boatshed Yorkshire. Click here for contact details. This pilot house design with hatches on both sides of the of the cabin and enclosed aft deck is the only design I would consider. And never a wooden hull. V/R T.